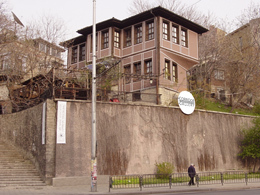 Art Today Association was founded in 1997 as a non-governmental organization to establish the Center for Contemporary Art Plovdiv, situated in the Ottoman Bath premises – a unique monument of culture from the 16th century with a specific interior. Our mission is to present, promote and document alternative and experimental forms of contemporary art; to host artists and curators in residence; to prepare periodical and unique print materials; to implement training programs, workshops and seminars for students and young art professionals; to build an informational multimedia data base presenting contemporary authors. Annual projects include: ART POSITIV Art Salon (April), SITES + SUBJECTS Performance Art Festival (June), WEEK OF CONTEMPORARY ART and FACADE Videofestival (both September).